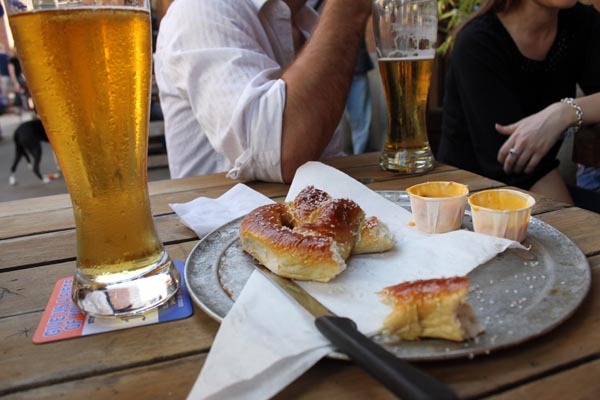 This photo is a week or two old… Beer and pretzels at Flying Saucer. Possibly the BEST pretzels ever. Pretzels. Doughy pretzels. Doughy pretzels sprinkled liberally with large crystals of sea salt. Dough pretzels sprinkled liberally with large crystals of sea salt, dipped in cheesy sauce. I LOVE the Flying Saucer on sunny afternoons.